This week was particularly hot. And not only on the street and in school Disney. In this school all Princess from Disney. As you know, this school is incredible popular in the world. At the end of this week, Ariel, Cinderella and Aurora will show fashion and would like to surprise everyone how they can easily Orient themselves in contemporary fashion. In addition, they can choose the best fashionista among all participants and she will have a Golden crown! Therefore princesses need your help. Use the mouse in this dress up game to help the princesses to show their best side and take first place. Did you play Dorahouse games? Remember how fun it was and play again! Played: 22707. Added: 24-06-2017, 20:48. 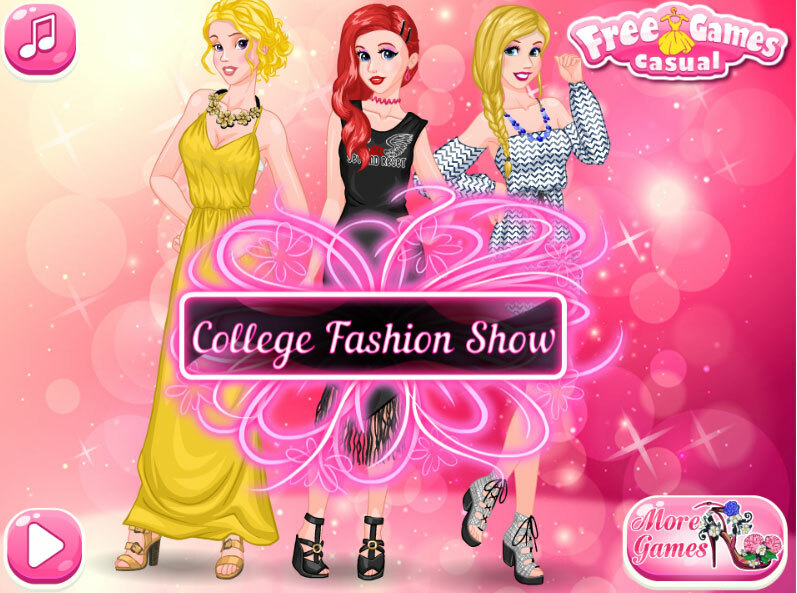 College fashion show dress up game. Help Ariel to be mo modern princess.